Find of the Month celebrates ten years with a win! It’s hard to believe that our Find of the Month (FOTM) is now ten years old, and what better way to celebrate this milestone than with a win! ArchivesACT is very pleased to announce that FOTM has just been awarded the Australian Society of Archivist’s 2017 Mander Jones Award for engaging our community with stories and information found in our government archives. Thank you to you, our readers, and to all our staff past and present for inspiring us to continue finding stories to inform and entertain you. We hope you continue to enjoy reading our work. Please contact us if there is anything you would like us to investigate in the future, because you never know what you will ‘Find’. To celebrate our win we thought it might be fun to revisit some of our most popular stories, and some of the fun facts we have collected over the years. From gorgeous govvies, to lost roads and the life of a drover, these stories have continued to remain popular, telling us that you have enjoyed reading them as much as we did finding them, and for this reason ‘FOTMs past’ are ArchivesACT’s October Find of the Month. One of the most popular requests ArchivesACT receives is to help Canberrans to locate and access records regarding the history of their home. With the government responsible for building so many of the early houses in Canberra we are quite fortunate to have a good collection of records to draw from. These can include records specific to a property, for example the historic tenancy ledgers, or access to records on planning, infrastructure, public parks, schools and shopping centres in their home suburb. 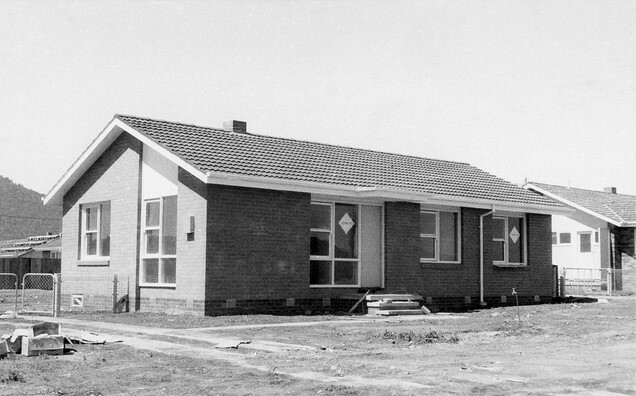 In 2013 ArchivesACT uncovered a significant government publication ‘Housing Review 1961 – 400 series designs’ which detailed plans and photos of different types of government housing being built in this time period. 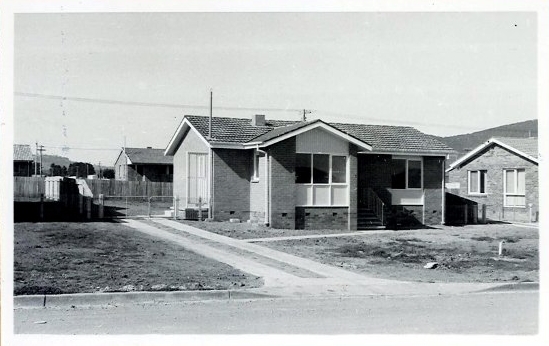 This ‘Find’ was quite exciting as anyone living in Canberra long enough would recognise the 400 series of govvie houses. With so many being built in the 1960s and early 1970s, these compact houses with their quirky entranceways are easy to spot. Altogether there were originally 13 styles of 400 series houses built, but this early report recommended that many be discontinued. In 2017 ABC Canberra used records from our ‘Find’ to help a curious Canberran identify their house as series number 405. We are sure they were relieved to find that aside from some initial environmental recommendations on block placement the 405 was one of the styles found suitable in the review. 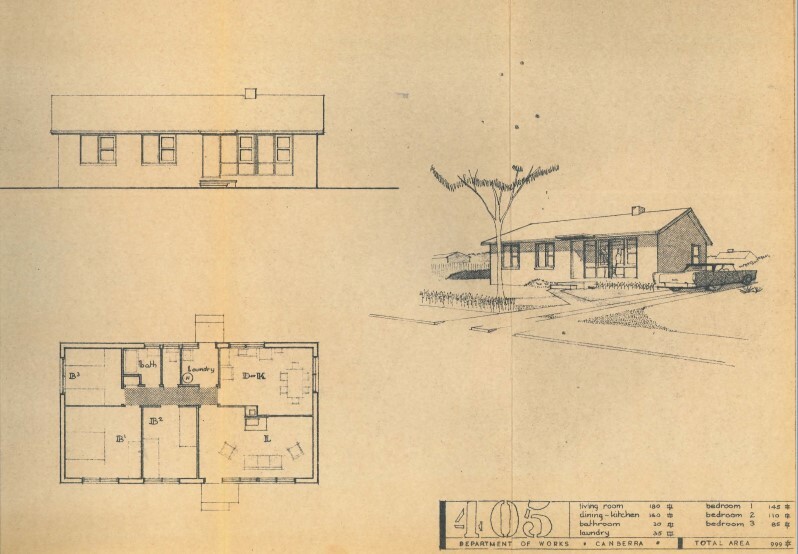 If you are interested in researching govvie houses you might like to look at the ArchivesACT Flickr site, where we host a collection of images of houses with their series numbers. You may even find your own house in the mix. You may also like to explore the digitised tenancy registers on our website. Prior to the establishment of Canberra, much of this region was already inhabited by European settlers, and while ArchivesACT receives lots of requests to access records about the establishment of the capital, we are not often asked to look further back at the existing infrastructure of the 1800s. 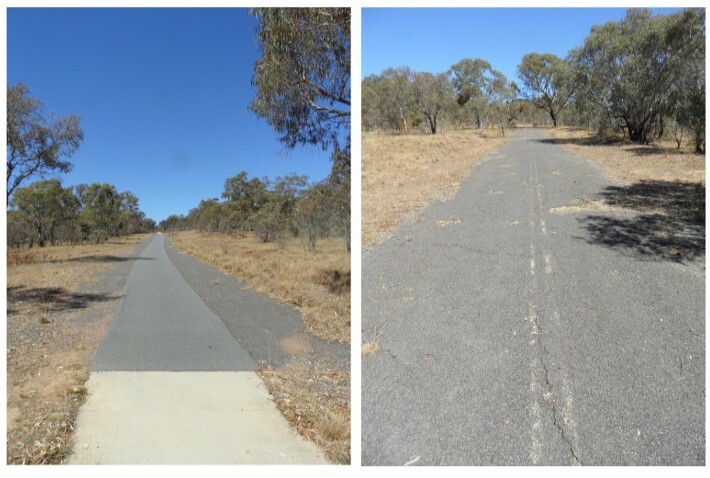 Using parish maps from the early 1900s, ArchivesACT staff set out to research two ‘lost roads’ in Canberra’s south, the Long Gully Road and the Tharwa Road. 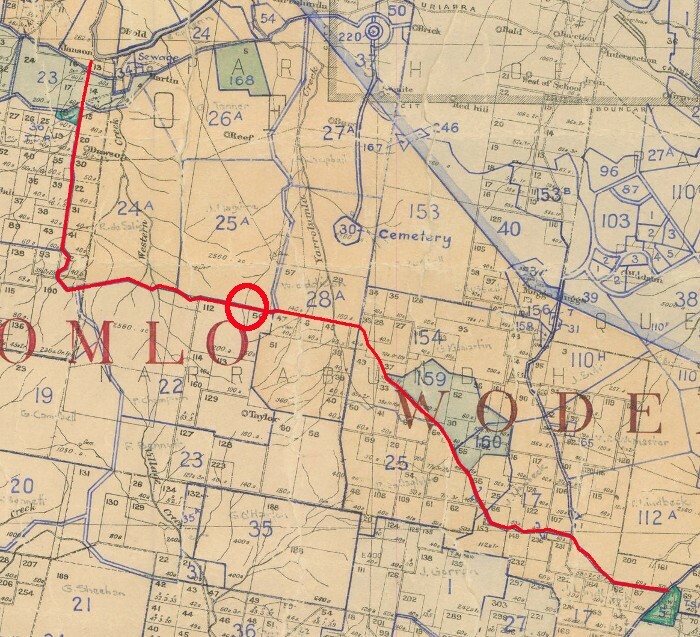 Using ACTMAPI and historic maps to compare and identify natural features, ArchivesACT was able to establish the location of these roads and even found some evidence of their previous existence. Do the green belts of your neighbourhood match an old rural road? Was that bicycle path once used to guide settlers on their way home? This favourite ‘Find’ offers mapping and advice to help you plan and enjoy your own adventure, and while we explored the South, there are still plenty of opportunities to explore roads in other areas. The ACT Parks and Conservation Service currently maintain over 130,000 hectares of national parks and reserves – think of the possibilities hidden in their midst! An extract from the Rural Lease Map c1940 held by ArchivesACT. Long Gully Road is marked in red. 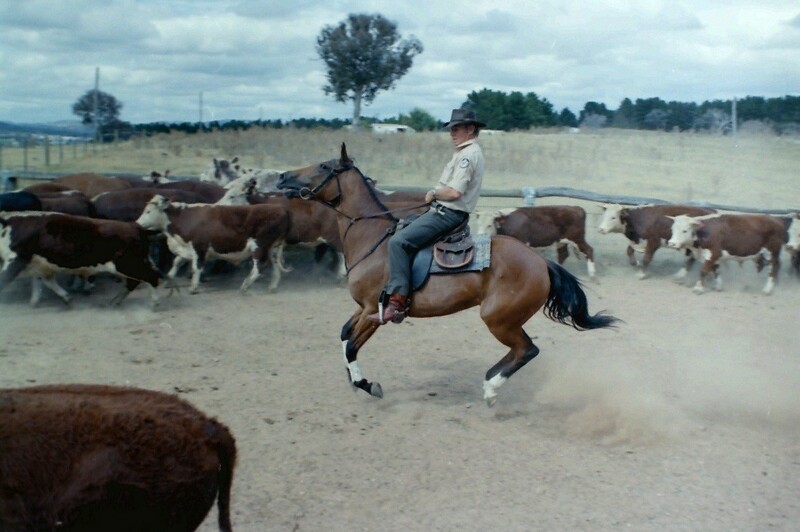 In mid 2017 ArchivesACT uncovered another hidden gem, an old 1980s ACT Parks file covering the establishment and usage of travelling stock routes in the ACT. Full of tales of local stock drives, drovers and rangers, this file provided us with the opportunity to explore a tradition now centuries old. It also gave us an excuse to ‘wax lyrical’ with ‘Banjo’ Patterson, imagining the life of ‘Clancy of the Overflow’ as we ‘sit in our (not so…) dingy office’. It’s hard to imagine a time when stock regularly roamed across the Monaro Highway without warning, prompting one ranger to advise management that a simple warning sign would suffice given the infrequent traffic! Drovers faced it all - routes not meeting up at stockyards, rain, flooding, heat, flies, exhausted stock, timeframes, social isolation, permits, theft, calving on the roadside and drought. Nowadays it is rare to see a drove come through our town, and this makes it is more important than ever to remember the purpose of these routes in not only providing passages and sustenance for stock, but also in their role as wildlife corridors for our natival birds and animals. In 2016 a NSW Government research team discovered a small population of rare black-striped wallaby, koalas and regent honeyeaters all sheltering along a remote travelling stock route. Their find was significant as the wallabies had not been seen in the wild since 1981. Travelling stock routes criss cross in a network across the whole of Australia and are often the only place where native vegetation can continue to grow despite the suburban sprawl around them. As residents of the ‘bush capital’ we are fortunate to enjoy an abundance of different native species, many of which rely on these habitats for sanctity. Travelling between town centres you may like to spot one of these corridors and work out where and when they cross or meander along the roadside. 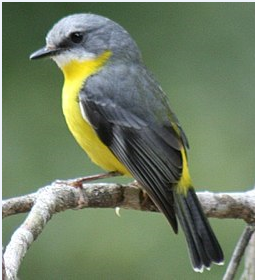 If you stop you may even find something special, such as the Eastern Yellow Robin pictured below. Looking for inspiration for a project? Why not channel your inner ‘Banjo’ Patterson and consider how you could bring these records to life. Contact us through our Request a Record service and we will be happy to help. Want to read more? Go to ‘August 2017 - Travelling Stock Routes in the ACT - "For the drover's life has pleasures that the townsfolk never know." What’s up doc… In the 1930s hares, not rabbits, were the biggest pest to Canberra gardeners with special netting placed around the veggie garden in the Lodge. Epic fails… During WWII Canberran apprentices were expected to undertake militia training at night and as a result kept falling asleep in their exams. Famous faces… In 1982 Shirley Temple visited Tidbinbilla with her husband and discovered firsthand the ‘strength of an emu’s beak’. Close but no cigar… Projects past that failed to make the grade include: a cable car on Black Mountain, a movie studio in Uriarra, and a water park in Jerrabomberra. Yippee ki yay… From 1991 until 2006, ACTION's top drivers put their driving skills to the test at the annual National Bus Roadeo. 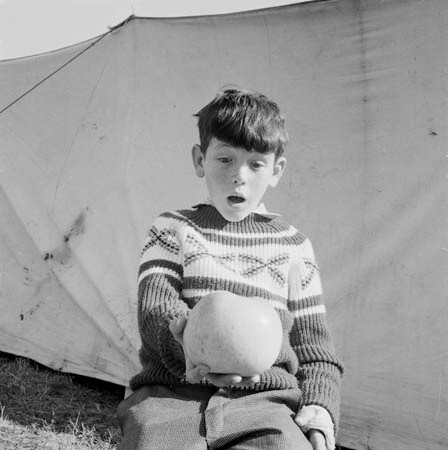 Bombs away… In 1941, the Department of Defence established a practice bombing range in Tuggeranong. It’s all about the plumbing… Debate over whether women should be allowed to participate in jury duty raged for 18 years only passing into legislation in 1979. We hope you have enjoyed joining us for a look at FOTM’s past. Do you have any ideas you would like us to research? Could they lead to a new Find?